The employers of seamen are not bound by workers' compensation laws enacted to protect workers on land. However, though seamen are not eligible to receive workers' compensation benefits, they are entitled to maintenance and cure in addition to other benefits under the Jones Act. If you have suffered a maritime injury, the unique laws governing compensation for an injured seaman make it extremely important to work with an experienced maritime lawyer. At Seattle Maritime Attorneys, we work hard to protect the rights of injured seamen and make sure they get the help that they deserve. With more than 50 years of combined maritime law experience, our Seattle maintenance and cure attorneys understand the ins and outs of the system and what it takes to resolve maritime cases in favor of our clients. We are advocates for seamen and have the experience necessary to resolve your maritime claim. To schedule a free initial consultation with an experienced seaman injury attorney, call our Seattle office at 206.729.5252, our Bellevue office at 425.454.3800 or contact our maritime law office online. 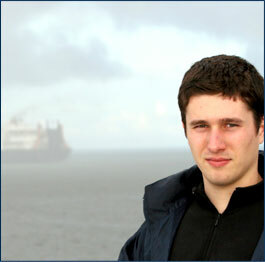 What Can Maintenance and Cure Mean for Seamen Injury Victims? In addition to Jones Act compensation, injured seamen are entitled to maintenance and cure benefits. Maintenance refers to money to pay for living expenses you incur because you were unable to work at sea, while cure refers to the medical benefits you will receive as you recover from your injuries. If you were injured on the job, you should be eligible for both. Maintenance and cure consist of benefits similar to workers' compensation, including compensation for medical expenses and lost wages for a limited amount of time, called unearned wages, after suffering an injury. To learn more about the benefits you are entitled to receive and how to make sure you get them, contact our maritime law firm online today for a free initial consultation with a seaman injury lawyer.